Welcome to the home of The Peony Society. Our goal is to create an online community of peony enthusiasts. 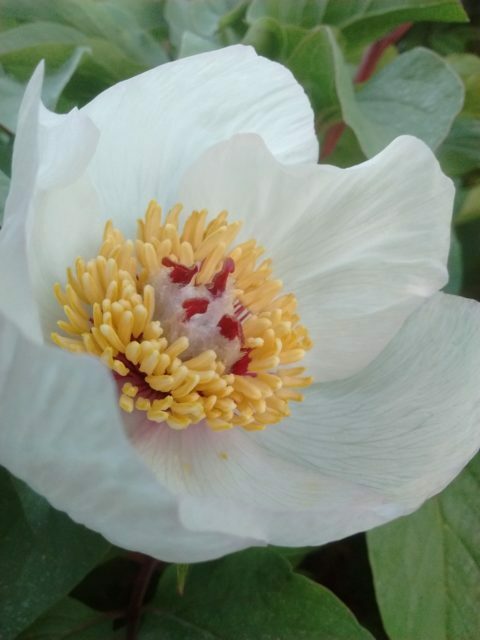 We aim to be the one place people go to when they want to read and discuss the genus Paeonia. What do we have on offer for you, peony afficionado? On the home page you will find the latest news posted on social media from peony nurseries, societies and other peony enthusiasts. The latest articles, forum topics, cultivar comments and species images are also available on this page and you can click through for more. The website offers a database of registered cultivars and a key to and description of the peony species. Next to that you can also join groups. There are both geographical and thematic groups. If you feel that a group is missing, you can create one. It’s also possible to search the member database. If you find some people this way, you can then view their profile and contact them. Registering and logging in will give you a more personalised version of the website where you will have the opportunity to interact with other members and comment on all content of the website. The site can be translated with google web translator, which you will find on most pages. Just select the language of your choice and translation will be done as you browse. For english speakers, you can select ‘english’ and this can be very useful when coming across some news items on the home page in other languages. Any suggestions you may have to improve the site further are appreciated: contact the webmaster. If you’d like to be informed about changes on the site, you can ‘follow’ our facebook page where updates will be posted. This website “The Peony Society”: created by Koen Hurtekant, enthusiastic peony grower in Belgium. Contact him below through the contact form. Paeonia mascula subspecies hellenica was chosen as the logo for this site as it is the favorite species of the website developer. You can learn more about species peonies and others, share your own favorites or ask any peony related questions on this website.